Get to know what it's like to work with me...from people who have. As soon as I got engaged, I was looking for a photographer (seriously: day 1, engaged; day 2, seeking out wedding photographer). THE most important thing for me about wedding planning was finding a fantastic photographer. So I did what most people do and asked family and friends (and the internet) for recommendations. I was given Lauren’s info from a friend who is also an event planner (looking back, that should have been a big hint). After creeping all of the recommendations on social media and their own websites, I sent out my feeler e-mails to the 6 or 7 photographers on the shortlist – Lauren being one of them. Honestly, Lauren had me at that first e-interaction. How? Passion. It’s so obvious in talking to Lauren that she loves what she does, and her enthusiasm and energy are actually infectious. Working with Lauren is not what you’d expect. You expect to hire a wedding photographer – maybe someone to take some engagement shots too. You expect professionalism. You expect decent photos. And yes – of course – Lauren checks those boxes. What you don’t expect (or at least, what I didn’t expect) was how easy Lauren made everything. It started with the first meeting. With Lauren being based in Hamilton, me and fiancé living in Ottawa, and the wedding being in Toronto, Lauren had so many creative ways to help us make decisions: we had Skype meetings, she sent me videos of previous wedding albums she had done where she – wait for it – videoed herself turning every page in multiple albums and then sent the videos to me by e-mail (!?!). It gave us such a feel for her work, and absolutely sealed the deal. Then we had our engagement photoshoot. We’d never met Lauren in person and really didn’t know what to expect. I can’t explain how or why, but Lauren makes it so easy to be in front of her camera when you’ve got absolutely zero experience being photographed. She’s so easy to get along with that it felt like hanging out with a buddy who happens to be (as you will learn) an insanely talented photographer. We even used a photo from our engagement shoot as a canvas for guests to sign at our wedding. Finally it was wedding day. From getting ready shots, to the ceremony, to the par-tay, all of our family and friends commented on Lauren: how friendly she is; how organized she is; how fast she is; how professional she is; how they want her to do their wedding (yes, one of my bridesmaids did book her) and on, and on, and on. I cannot tell you how many guests told us after the wedding that they didn’t even notice a photographer. And yet when you look at the photos from our big day, each photo takes you back to the exact moment in time that Lauren captured – and yes, you’ll cry over and over again. 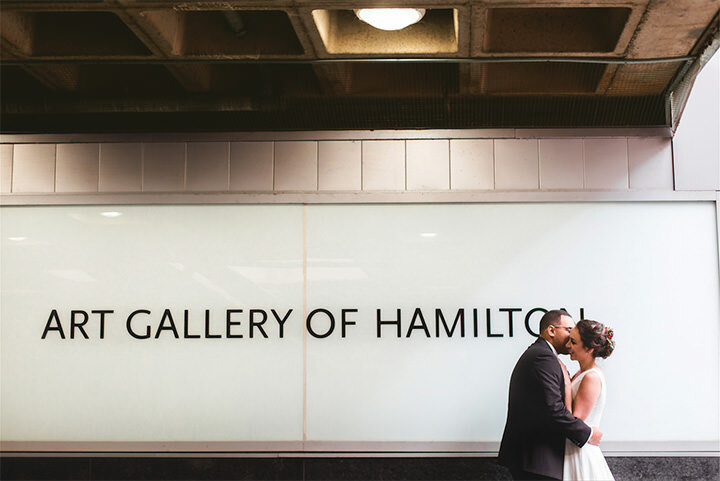 Because she is a super-hero photographer, Lauren had our e-library of photos of us in no time – literally two weeks [caveat: we got married in winter/off-season]. Then it was our turn (and our parents and grandparents…) to pick photos for albums using Lauren’s portal. I do have to give an official shout-out to Lauren’s software. I am the furthest thing from a techy, and her online portal made it so easy to review our contract, make payments, and (most importantly!) view photos and make albums. When the albums arrived, I was totally blown away with the quality. Just stunning. What I didn’t expect when I set out on day 2 was to befriend the person I hired as a wedding photographer, or to have photos as beautiful as I do. I cannot recommend anyone more highly than I would recommend Lauren, and I actually cannot wait to have her capture more events for us down the road. "My husband and I got engaged in September of 2015 and we knew we wanted to get married the following year. There were tons of hard decisions to make and not much time to make them but the easiest one, the one we were most certain about, was to ask Lauren to be our photographer. Lauren shot our engagement photos, a day that neither of us will forget. But prior to the actual day she was the one doing the research, asking us what our interests were and getting a feeling for what we wanted them to look like. She scouted locations based on our interests, it was her initiative and preparation that made the day so special. Her creativity astounded us and to this day we are completely floored by how good she made us look, how comfortable she made us feel, and how beautiful the photos turned out – and that’s just the start! Our wedding day was in July this past year and I think it may have been 40 degrees. The calm and collected one was Lauren who managed to shepherd all 20 members of the wedding party together and organize us outside, a miracle in itself. She made an hour in sweltering heat truly enjoyable, more fun than even we expected. To this day we get compliments on the photos and how they captured how much my husband and I love each other, the playfulness of our friends, the adoration of our parents, and the perfection of the backdrop. We still marvel at the shots ourselves, my husband (forever the humble type) thinks we belong on a magazine cover they look so good! The dedication to exceeding our expectations means so much to us, Lauren (again all on her own) went out and researched the location, picking spots for different aspects of the shoot and testing them out so that when we arrived on our Wedding day she knew what would work best – she nailed it and we couldn’t be happier about how they turned out. Just a couple weeks ago we threw Lauren a little curveball, we told her we were expecting our first baby and wanted to capture the experience. She had us come to the studio without even hesitating and before we knew it we had the cutest most adorable photos we’ve taken yet. We showed up with a couple items, some booties a onesie, and an ultrasound image but no real idea about how the photos should look. Thankfully, Lauren is a true artist, the creative one that came up with the perfect shots and as usual every person that has seen them comments on how amazing they look – demanding to know where we got them done. Lauren is professional, she is caring and attentive. She makes us feel comfortable, like we can be ourselves. She takes the edge off what can be stressful through humour and preparation. We have asked Lauren to capture the most important moments in our lives and each time, without fail, she has exceeded our loftiest expectations. We truly cannot thank her enough and we are so grateful to have such a talented friend like her!" “"Working with Lauren was one of the most pleasant experiences of planning our wedding. From our first meeting there was no question that Lauren was the woman for the job. She is highly organized and beyond talented! The client portal she has created was super easy to navigate, communicate back and forth and also made keeping track of our payment schedule a breeze. Lauren is a complete professional and so easy to work with, especially for camera shy couples like ourselves. The amount of thought that she puts into your special day is truly remarkable, from scouting multiple locations at different times of the day to make sure the lighting will be just right, to keeping you calm in moments of distress on the big day to the thoughtful touches after the wedding in the cutest packaging; she truly goes above and beyond what you would expect from a photographer. "Since the moment we walked into Lauren's studio we knew we had found something special. From her professionalism, personality and creativity to her innate skill behind the camera; there was never any doubt we had made the right choice. The engagement shoot was like catching up with an old friend and then when we got our photos back we were absolutely elated by how they turned out; she captured exactly who we were. We can't wait to see our big day from her perspective!" We met Lauren at a friend's wedding and after getting to know her and seeing her work, we had all our fingers and toes crossed that she was available for our wedding. Lauren captured so many moments so beautifully and really made everyone feel at ease. At one point in the evening, she asked if we were up for a late night photo in the rain, so out we went and the result was absolutely stunning. I think that whole scenario is what working with Lauren is like in a nutshell, she's flexible, kind and super easy-going. We can't recommend her enough and we're so grateful for the memories she captured. “When my now-wife and I were searching for a photographer before our wedding, a meet with Lauren was high on her priority list. She had seen some of her photos on instagram and liked her style. The three of us hit it off pretty quickly, and we both knew we would be enlisting Lauren's services. This was helpful because it allowed us to cross something off our to-do list early-on. We would be having an engagement shoot as well as our Wedding photos taken by Lauren. When Lauren is organizing a shoot or carrying out a session, a few things become very clear to you. The first is that her biggest priority is making your vision become a reality. We filled out a questionnaire that helped her narrow her focus and plan out our sessions. She then took that information and scouted locations to ensure she could accurately carry out that vision. The second thing you notice about Lauren is she both naturally positive and optimistic. She wears an easy smile that is not forced and comes across as very genuine. She keeps your sessions fun and knows exactly what will lighten the mood or capture the best moments. She understands that the wedding process can be a very stressful one, and she aims to take away any added pressure or stress that you could feel about the photography portion. From the moment I met Lauren, I knew I was in good hands. From her behind the scenes work of organizing, planning and communicating to the magical day she captured so perfectly, my husband and I could not be more pleased with absolutely every detail of Lauren's work. Lauren is able to capture unbelievable pictures while making the experience fun and easy. She exceeded our expectations in every way possible. I've been lucky enough to know Lauren for many years now and to see her grow into the outstanding photographer she is today. When the time came to choose the photographer for my own wedding, it was a no brainer. Not because I already knew her, but because she is the most talented photographer I've ever seen. I loved that her wedding pictures don't look like your standard wedding shots. She has a creative eye and a way of accommodating everything. She knows how to find the right lighting for what you're looking for and has original ideas to make your photos different than other cheesy wedding pics. She's not just a great wedding photographer, but a fantastic photographer in general. If anyone wants professional pictures done for anything, they should go straight to her. Our wedding day went by so quickly but Lauren and her assistant captured ALL the little details and important moments. She is so amazing to work with and has such a clear vision for each shot! We have so many beautiful poses and such great candid shots of our guests. I recommend Moments -by Lauren to anyone who is looking for a photographer who captures the liveliness of the moment in each shot. She's brilliant, fun and has such a great energy! We can't wait to work with her again!!" "With every interaction with Lauren, she exceeded our expectations. Her professionalism, organization, and attention to detail were absolutely outstanding. She made us feel so calm throughout the whole process, and knew how to make us feel completely relaxed when taking our photos. When we received our engagement photos, both of our jaws dropped with how beautiful they turned out. It was such a great reassurance for what was in store for our big day, and once again she surprised us with her talent. Our photos are stunning – Lauren caught every emotion and we will treasure them forever." "Lauren captured our day beautifully and gave us many memories to look back on. She is a genuinely lovely person. It was such a pleasure having her as our photographer and we couldn't imagine having anyone else there to share our special day. Lauren's style, kindness, and support on our big day was nothing but professional and helpful. We are forever grateful and absolutely delighted with our photographs!"